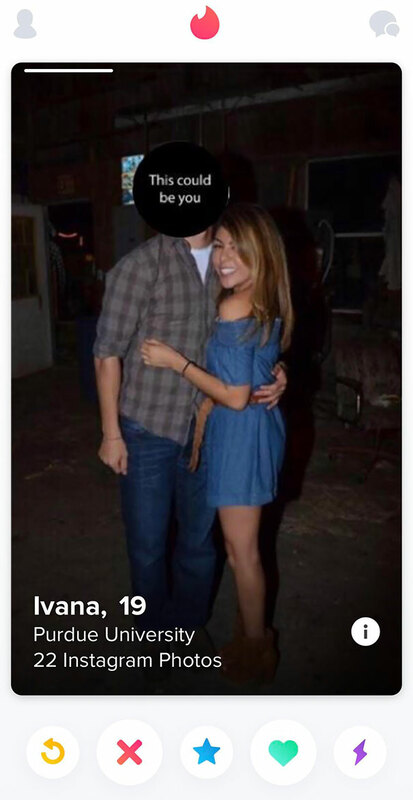 Tinder has made the dating easy-pissy! Well, people talk you should have great first impression! But what about the second one? The second one is the bio on your tinder bio. You should make it intriguing! So, to discover the hilarious and vowed bios, scroll down! 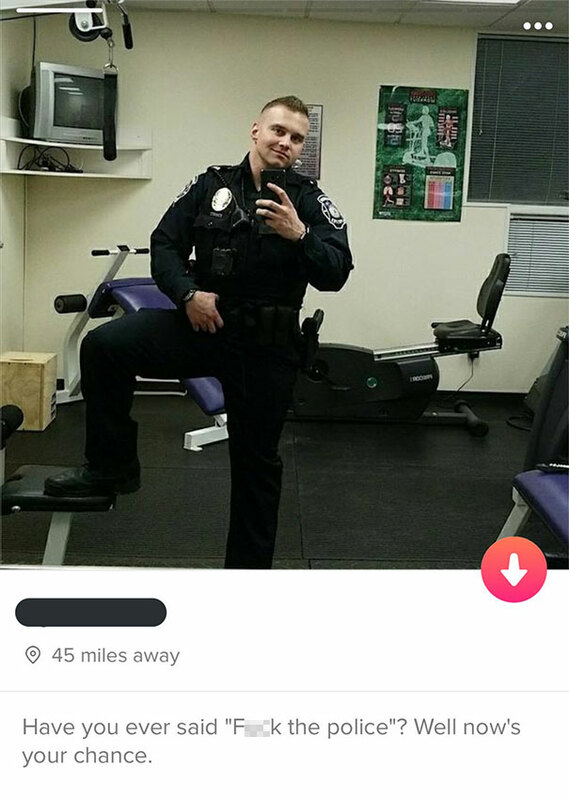 The tinder bio says, “Have you ever said “F**k the police”? 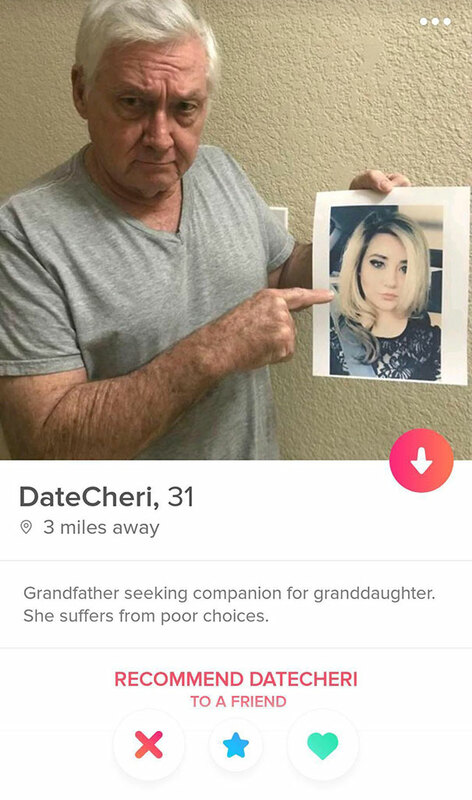 Well now’s your chance”. Well, that’s great bio line! After the one night stand, “Catch me if you can”. Oh Doctor, please save me! 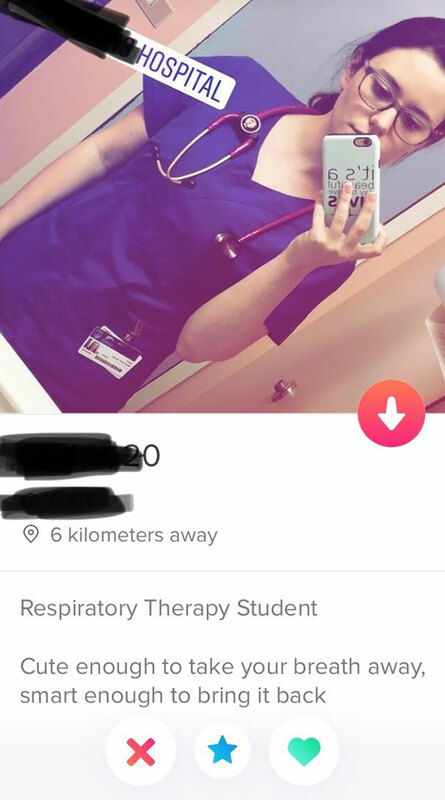 The bio of Respiratory Therapy Student is, “Cute enough to take your breath away, smart enough to bring it back”I should own the girl, Breathspect! A Comma can make a great difference! 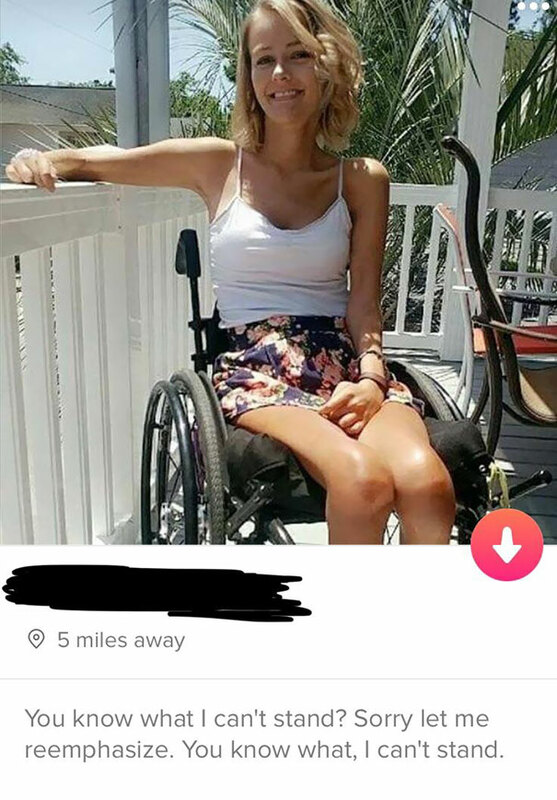 It’s sad that she is paralyzed but her bio can make you roll on the floor. It says, “You what I can’t stand?Sorry let me reemphasize.You know what,I can’t stand”. She is smart and naughty! 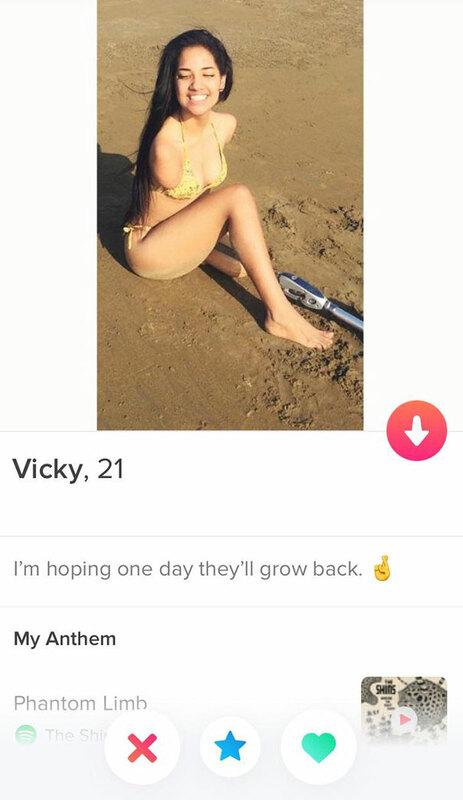 Vicky’s tinder is not funny but a deep beautiful message and you can take it in a funny way too! She writes, “i’m hoping one day they’ll grow back”. 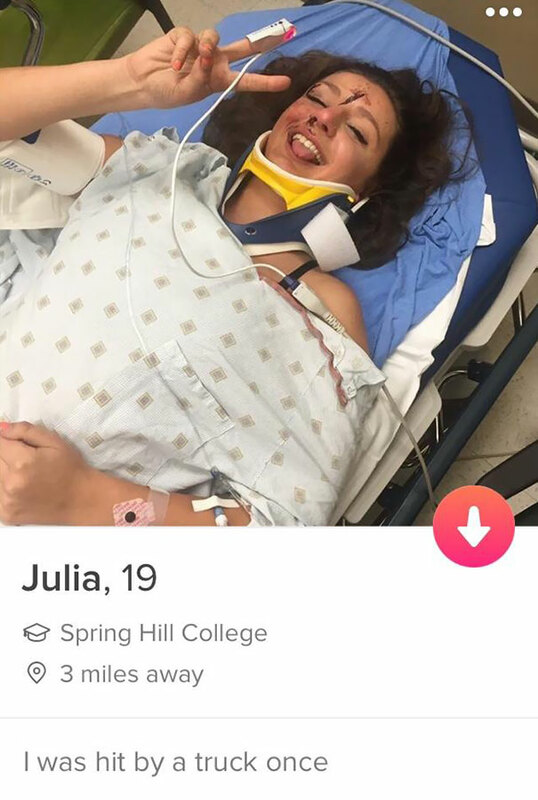 It’s the best and sweet bio i have ever seen! She writes, ” I was hit by truck once”. Hope so she is not in the hospital now but she looks good and happy. Single and foodie can relate this! The single who is ready to mingle girl writes, “Current relationship status: Made dinner for two. Ate both”. I wonder how she is still slim and fit? Well, that’s a clever image on the bio! I wonder if she’s one of those people who cut out old faces from pictures and pastes in new ones. Comments Of Carrie Underwood Makes Fans Angry! !